Through this Data Science tutorial you will learn the complete data science lifecycle, data acquisition, data preparation, data modeling, data visualization and more. You will know various languages & tools used for data science and machine learning like Python, R, SAS analytics and others. If you want to master Data Science and get certified then check the Intellipaat Data Science training course. In this Data Science tutorial, you will learn Data Science from the basics. Data Science is a multidisciplinary domain that includes working with huge amounts of data, developing algorithms, working with machine learning and more to come up with business insights. You will work with huge amounts of data. You will clean the data, prepare it, convert it into a format through which you can derive valuable insights from it. You need an inquisitive mind, ability to work with huge amounts of data, ask the right questions, and arrive at a solution through the application of various tools, technologies and skills. Anybody can learn data science since there are no prerequisites for learning this domain. Why is Data Science so widely used? In this Data Science tutorial, you will also learn about the importance of Data Science in today’s digitally-driven world. Due to the incessant amount of data that we are creating, there is an urgent need to derive valuable insights from this data. Data is the oil of our generation. With the right tools, technologies, algorithms we can make sense of data and convert it into a distinctive business advantage. In this Data Science tutorial, you will not only learn Data Science but will also find out about the various roles in the domain of Data Science which are listed as below. A data analyst is entrusted with the responsibility of mining huge amounts of data, look for patterns, relationships, trends and so and come up with compelling visualization and reporting for analyzing the data to take business decisions. The data engineer is entrusted with the responsibility of working with large amounts of data. He should be available to clear data cleansing, data extraction and data preparation for data business for working with large amounts of data. The machine learning expert is the one who is working with the various machine learning algorithms like regression, clustering, classification, decision tree, random forest and so on. A data scientist is the one who works with huge amounts of data to come up with compelling business insights through the deployment of various tools, techniques, methodologies, algorithms, and so on. If you want to learn Data Science you should also be aware of the various strengths of a Data Scientist. In this Data Science tutorial you will also see that there are a lot of skills that you need to master in order to become a successful data scientist. Some of the skills that an accomplished data scientist will possess include, technical acumen, statistical thinking, analytical bent of mind, curiosity, problem-solving approach, big data analytical skills and so on. How to learn Data Science to be an expert? Like one famous person once said that the whole world is one big data problem. So as a data scientist it is your job to learn more and more about the various data science problems in the real world. This way you will have an inside understanding of this domain. There are a lot of competitions and forums that are regularly hosting data science contests and competitions for data scientists. You would do well not only learn Data Science but also participate in these highly exciting contests. That way the knowledge that you get from this Data Science tutorial can be built up and put to practical use also. There is a huge amount of data that is available on the internet. It could be real data or just practice data set. 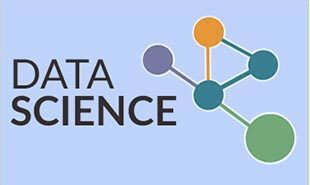 But whatever the nature of the data, it will be very well to work on these data sets to implement your knowledge of data science and get hands-on practice in the domain of data science. Since data science is a very vast field, in the initial days it could be very good to have a collaborative approach to learn data science. That way you will learn in an interactive and collaborative way and will be on your way to becoming an accomplished data scientist. In this data science tutorial, you will learn data science to help you get started, but that would not be enough. If you want to build your skills and hone it to perfection, then you need to practice every day since as we all know that practice makes a man prefect. And to learn data science it is not much different, you need to practice a lot to achieve perfection. A lot of people confuse the role of a data scientist with the role of a data analyst. There are a lot of similarities but there are a lot of difference as well. So the above table gives you a high-level understanding of what are the major difference between a data scientist and a data analyst. One more key difference between the two domains is that data analysis is a necessary skill for data science. Thus data science can be thought of a big set while data analysis can be thought of as a subset of it. In this data science tutorial you will learn top tools, technologies, skills needed to be a successful data scientist. So this is your preliminary step to learn data science and become an accomplished data scientist. "8 Responses on Data Science Tutorial - Learn Data Science Programming from Experts"
According to me Data Science is the practice of formulating hypothesis, Defining the data & Identifying the type of analysis, Am I right? I want to learn data science ..Can you please tell me what is the prerequisites for learning Data Science? There are no particular prerequisites for this Training Course. If your intersted in mathematics, it is helpful. I heard that in data science there is no codeing, is it true ? Because I am a non programming background. 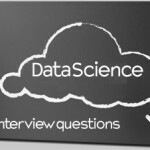 Data Scientists do deal with coding and statistical skills, they work on making data useful in various ways But non programming background people can learn data science as well. I want to learn about data science in simplest manner. Can you help me how should I go with it? In-depth, comprehensible and coherent! Each topic is explained in a straightforward manner through appropriate examples. Great Job!!! 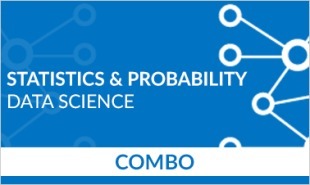 Sign Up or Login to view the Free Data Science Tutorial - Learn Data Science Programming from Experts.